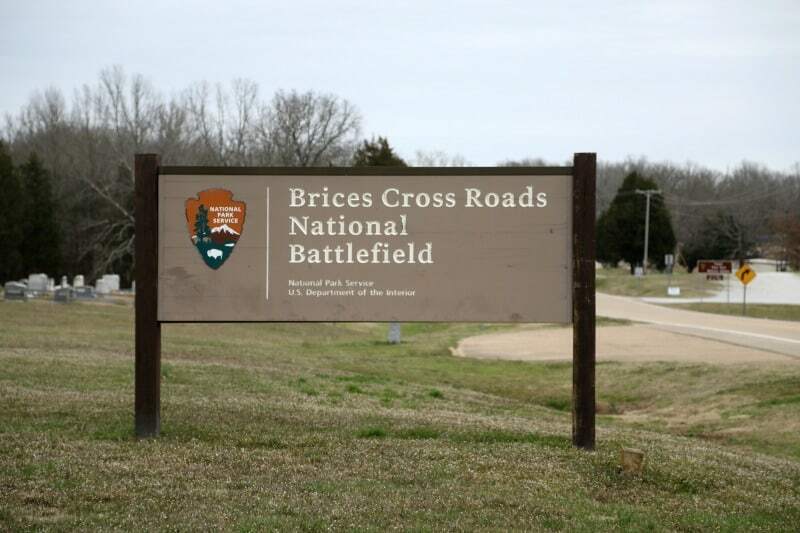 Brices Cross Roads National Battlefield Site is located in northeastern Mississippi approximately 85 miles from Memphis, Tennessee. 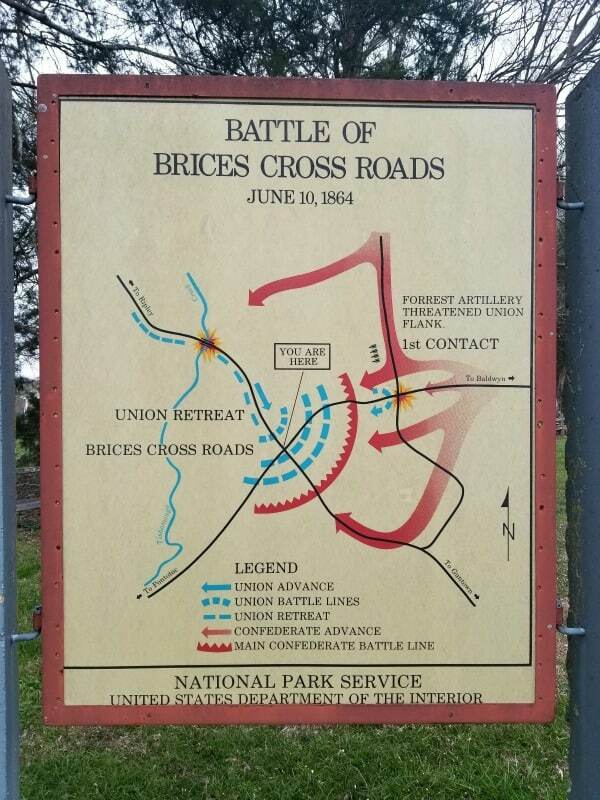 On June 10, 1864, a battle took place at Brices Cross Roads between Confederate and Union Troops. The National Park Service has a one-acre memorial within the battlefield. The rest of the 1,400 acres of the battlefield are owned by a local battlefield commission. Within the battlefield, there are two interpretive trails describing both the Union and Confederate sides of the battle. In 1864 Union Major General Sherman began his march to the sea during the Civil War. This march was dependent on supplies that were moved on the rail line from Nashville to Chattanooga, Tennessee. 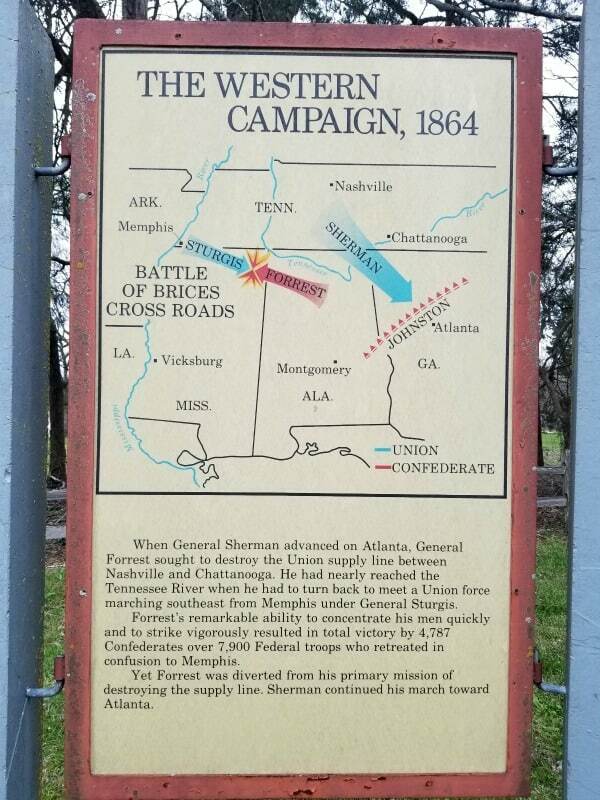 General Sherman knew the line was vulnerable to attack by Confederate troops so he sent troops to northern Mississippi. 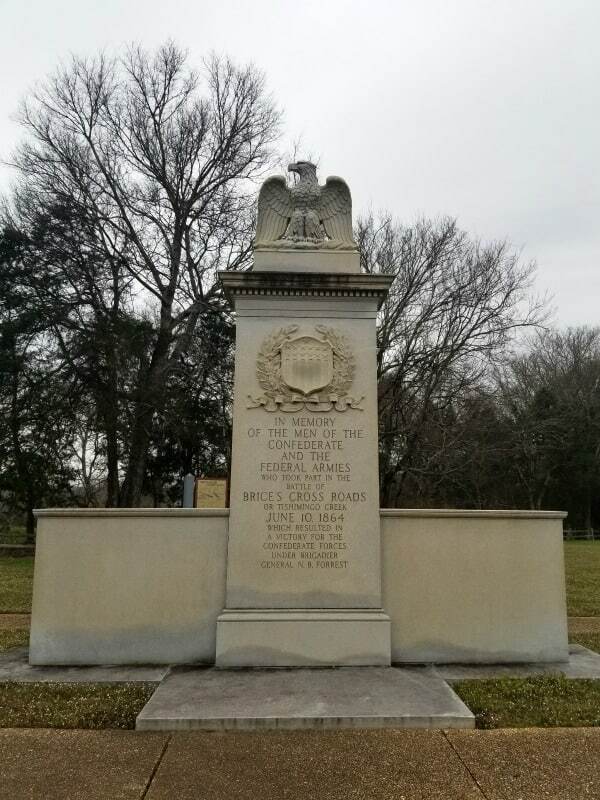 A battle took place on June 10, 1864, at Brices Cross Roads. The battle was a southern victory but the outcome was positive for the Union cause. There are no visitor facilities at the site. The site is SMALL!! There is a more in depth information available at the Mississippi’ Final Stands Interpretive Center located near the intersection of U.S. Highway 45 and Mississippi 370, in Baldwyn, Mississippi. The center is open 9 a.m. to 5 p.m. Tuesday through Saturday. 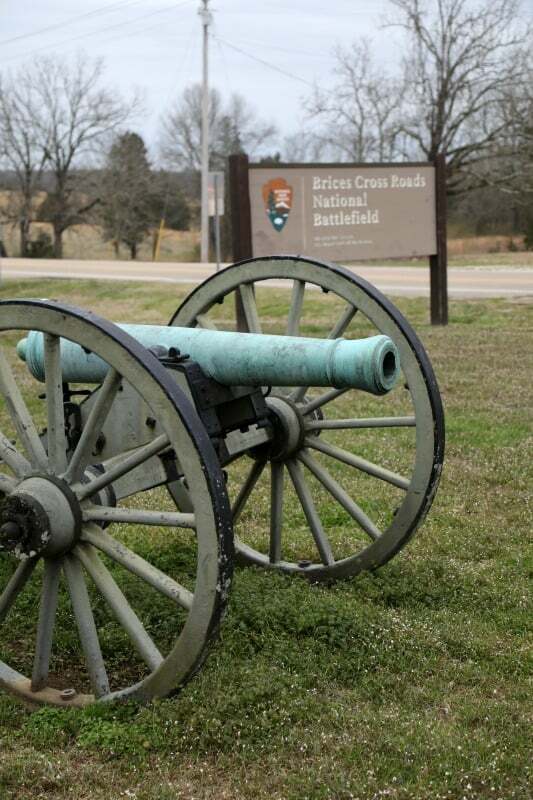 The National Park Service administers the national battlefield site through the Natchez Trace Parkway. We had very little cell service at the park. If you are using GPS on your phone make sure you have your next stop loaded before you lose service. We had to make a gut decision and head down a road in hopes that it took us to the main road. Entrance Fee – $0.00, there is no entrance fee to visit the park.